Cast Iron Dutch Oven Fryer?? 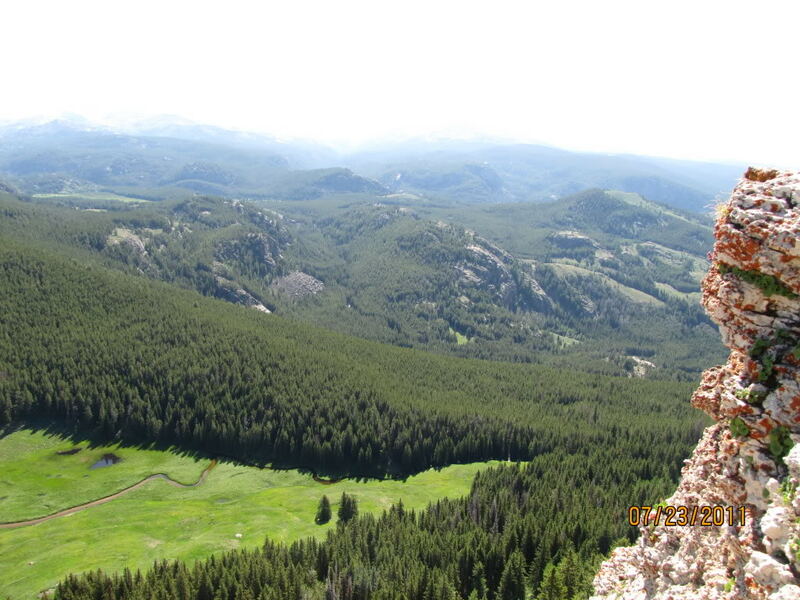 We are heading out later this month after the kids get out of school for a 4 day trip. They have recently taken to Fish....catching and eating. 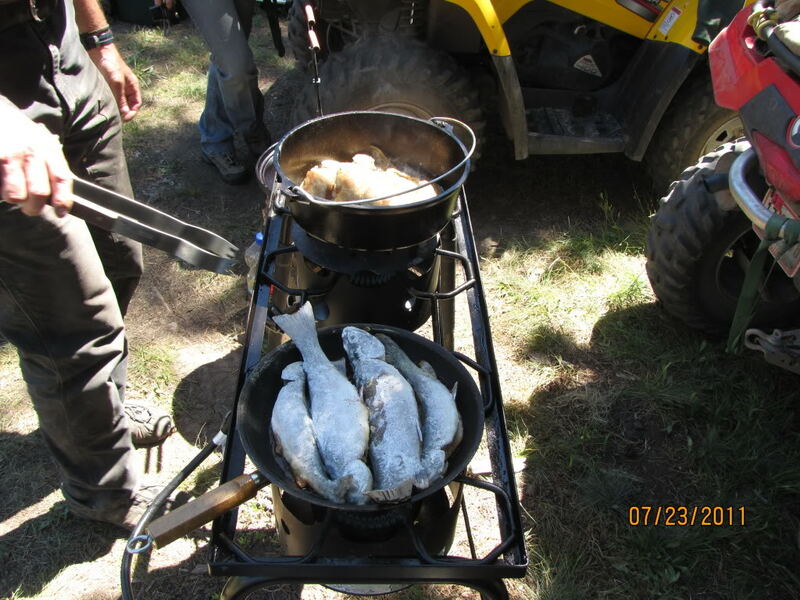 I have wild dreams of lugging stringers of crappie back to camp for dinner (not likely) and frying them up like we used to do years ago. Question, anyone ever deep fry with their dutch ovens? I debated on getting one of those propane burners and pots for crawfish boils and what not for home use.... but it feels like just something else to pack and take camping. Opinions? Your cast iron dutch oven will do fine with most any heat source. I use mine over gas, wood, charcoal, etc. Where you can't turn the heat up or down with wood/charcoal, you can move it around which accomplishes the same thing. Breaking from tradition, I use an infrared thermometer to keep an check on the oil temp when frying. We do it all the time, usually use the lid to my Dutch Oven. Here are a few trout. Only done this with trout, but should work for you. Clean fish wrap in bacon and aluminum foil. Few minutes on each side on hot coals ( depending on size of fish). No additional weight or pot/pan to clean. We take the grands and friends flounder fishing in Rhode Island first week in June. 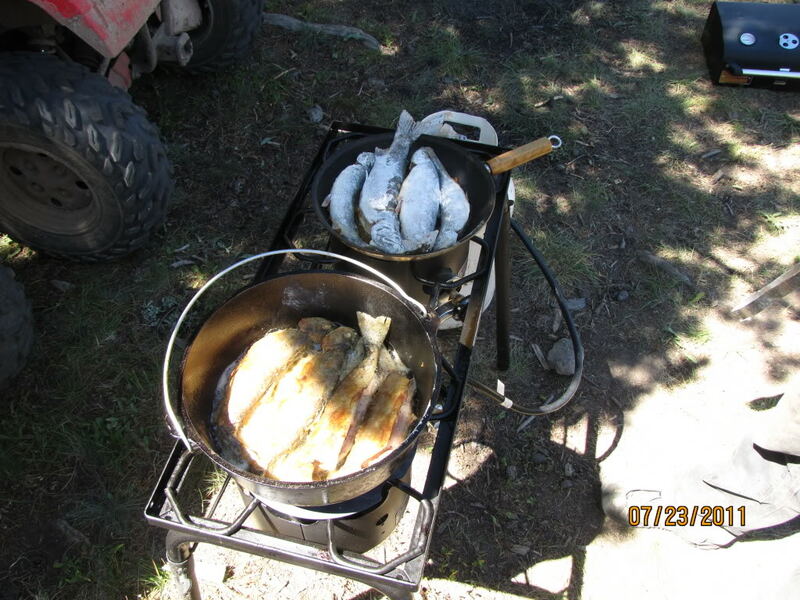 Our dutch oven is frying fish for lunch and dinner. I have small red cones for "NO GO" zone for running kids. Works great! We have done fried chicken many times in the cast iron dutch overn over the "turkey" fryer propane cooker. Corn oil tends to be very stable for this kind of cooking, just use common sense / caution to avoid any unwanted fires. Happy eating! TV - Whatever I can rent! I have found that peanut oil works really good, it doesn't burn as easy. I agree, it's probably the best all around frying oil but one of my sons has a deadly allergy to peanut protein so we choose corn oil over some of the other non deadly choices and it has served well. Works great to ramp up the dying campfire when the cooking is done also! For my normal travels, I carry a short propane burner and a 20lb bottle in a milk crate. They both travel well in the bed of the truck. Under one of the TT booth seats, I keep the shallow fryer pan and pan strainer. The propane burner, pan and strainer may or not be used on a trip but are there if the desire arises. I always use the 20lb bottle and a two piece gas tree with my Coleman stove and lantern. Those little bottles are damn pricey.